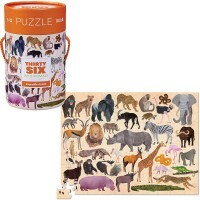 This fun and challenging US map 200 jigsaw pieces puzzle for kids comes in a reusable storage canned, and also features a 16 x 24 inches wall poster. 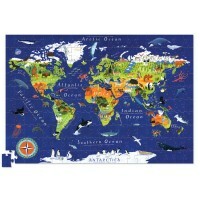 This amazingly illustrated geography learning jigsaw comes with educational wall poster in a reusable storage canister. 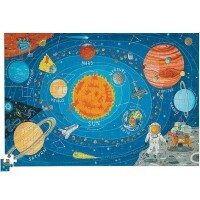 USA Map 200 pc Jigsaw Puzzle and Poster Set is 2-in-1 educational toy by Crocodile Creek. 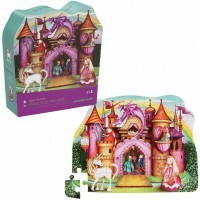 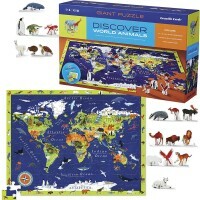 This fun and challenging US map puzzle for kids includes 200 durable cardboard jigsaw pieces and a 16 x 24 inches wall poster. 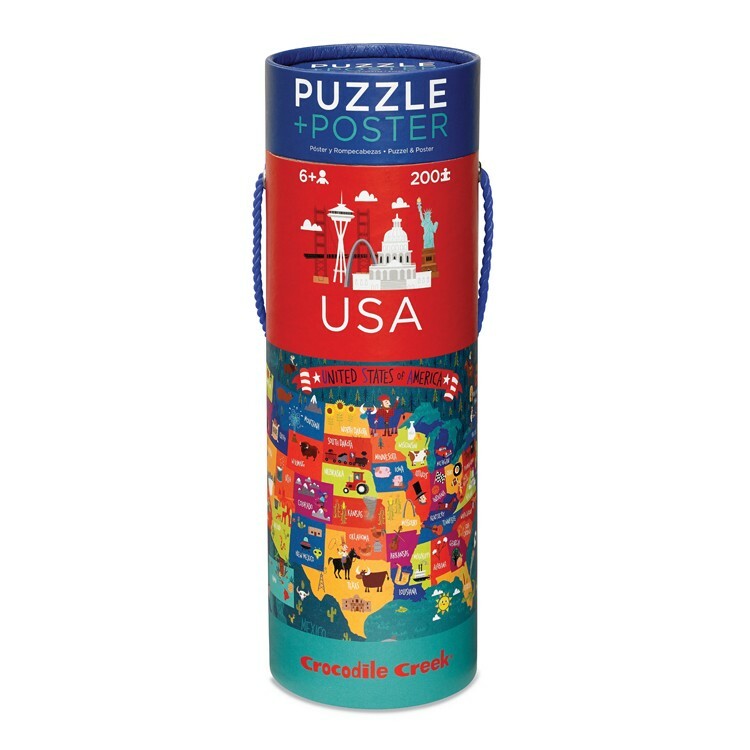 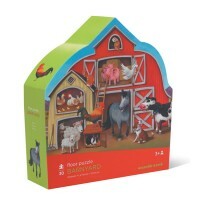 The USA Map 200 pc Jigsaw Puzzle and Poster Set is neatly packed in the attractive carrying canister. 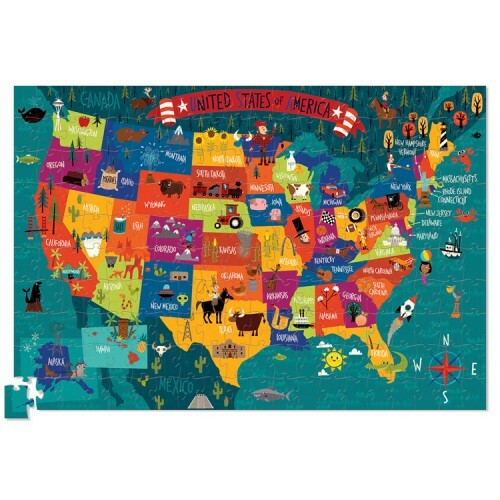 The finished USA map puzzle for children measures 13 x 19 inches. 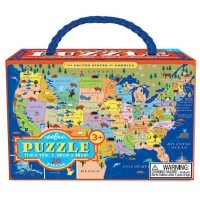 This learning puzzle set from Educational Toys Planet is a great way to introduce US geography, American states' specialty, landmarks, animals, and more to grade school kids. 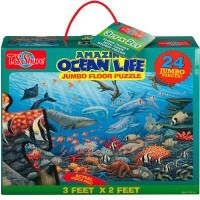 Write your own review of USA Map 200 pc Jigsaw Puzzle and Poster Set.